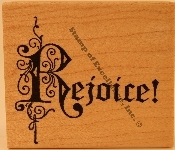 Our Products >> Spiritual >> Rejoice! balance other spiritual and Christian images? This Rejoice! is a great size and design.